You can match the Energy Mass and Particle types to match this form then bind them in a Electromagnetic field which puts a force on the matter generating a sudo "Strong Nuclear Force" on charged particles. Edited by Vmedvil, 08 June 2018 - 11:02 AM. 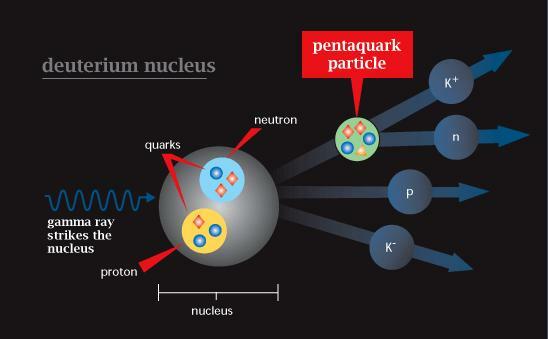 Pentaquarks are one of the exotic particles that are confirmed to exist, here is a little about pentaquarks from CERN, which all to my knowledge have a positive mass along with a unusual charge number and mass number being a fusion of a Meson and 3 quarks. Edited by VictorMedvil, 15 January 2019 - 08:33 PM. The original post about the Decay synthesis for positrons that I invented when I was a college freshman as a high school Senior, being Anti-Electrons, which is what the original Antimatter bomb used before Muonium was used. Edited by VictorMedvil, 04 January 2019 - 05:33 AM. I have been meaning to explain the military applications of Antimatter along with Pentaquarks, it was found that you can stabilize particles into many configurations and that Pentaquarks like Antimatter would grow unstable when in contact with ordinary matter, the Pentaquarks could behave as a way to store a substance like antimatter as Pentaquarks can hold much more energy than standard matter without decay of the matter when Pentaquarks release their energy they break into particles based on the composition of the matter like any other matter. 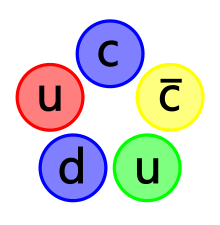 In the case, of Muonium and Anti-muonium Pentaquarks it would release large amounts of gamma radiation which would be a "Green Nuclear Bomb" as the Muonium Pentaquark is constructed of a Top and a Anti-Top with 3 Muoniums which would normally decay but would be a effective releaser of Gamma Radiation after the particles decay, these particles can be made in particle accelerators such a Fermilab and CERN which allow the stable usage of Type II and Type III generation of quarks which would grow unstable outside a magnetic field. 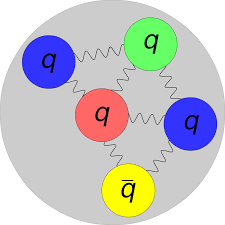 So basically as soon as the magnetic field breaks its confinement of the particles it would cause a nearly instant decay of the Quarks into lesser quarks which release gamma radiation as for a military application as a "Green Nuclear Weapon" with a yield that can be instantly changed to smaller or larger depending on the amount of Pentaquark substrates in the device, but it would require the indefinite confinement of the quarks in a magnetic fields to prevent decay of high energy particles such as these, but definitely could replace Anti-matter in any weapon as these particles would act nearly like antimatter when non-confined and would be cheaper to make than Anti-Hydrogen for instance which these Pentaquarks have a higher energy content then anti-hydrogen. 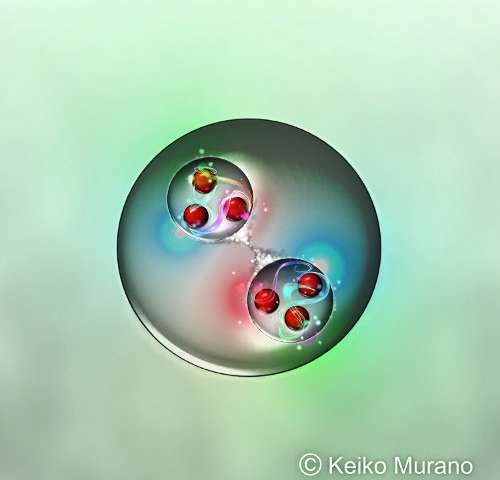 This may cut the bill for anti-matter from 80 trillion a gram to maybe a few billion per gram if Pentaquarks were used instead as the creation of the Pentaquarks themselves comes from bombarding Neutron, proton, and deuterium along with even other particles with Gamma radiation which can be harnessed from a nuclear reactor which is where all the talk about Antimatter weapons is derived from about Pentaquarks. 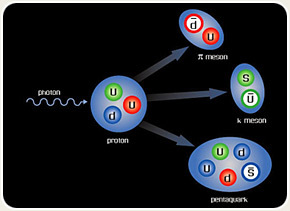 The particles contained within the Pentaquarks are based on the energy level of particle bombarded with gamma radiation and the energy of the incoming gamma radiation particles themselves the more energy put into the gamma radiation along with changing the bombarded particle to a muonium may change the construction of the Pentaquarks themselves making other types of Pentaquarks such as the Muonium Quantum Substrates or even neutral types of Pentaquarks such as the neutronium Quantum Substrate with a proton and anti-proton bound if confined. Edited by VictorMedvil, 21 April 2019 - 10:43 AM.